By most accounts, Microsoft’s Internet Explorer 10 is a pretty good mobile browser. But variety is the spice of life, and software developer Maxthon just added a big dash of flavor: Maxthon Cloud Browser is now available for Windows Phone. What’s the big deal? Maxthon may not currently be a household name like Chrome or Firefox, but it could be soon: it was recently announced that Cloud Browser will come preloaded on over 100 million Android smartphones in 2014, thanks to a partnership with MediaTek. Its arrival on Windows Phone today isn’t just another vote of confidence for the increasingly popular browser; it’s a sign that more and bigger developers are supporting Microsoft’s mobile operating system (which itself is experiencing slow but steady growth). Indeed, according to Karl Mattson, a Maxthon VP, "Windows Phone is gaining prominence worldwide, and its users deserve a browser that better serves their wants and needs." What kinds of wants and needs? Cloud Browser’s key claims to fame include cross-platform support and automated favorites syncing, meaning users can sync their bookmarks across multiple devices; all courtesy of a free Maxthon Passport account. The mobile browser also features a unique approach to tab navigation: users swipe up or down to go forward or backward in their browsing history and see current tabs. Each open or past tab appears as a kind of card, making it easy to find what you’re after. In addition, Maxthon promises more intuitive ways to access favorites, including Windows Phone-style live tiles in Cloud Browser’s coveted Quick Access page. And the browser offers a pop-up address bar that appears with a simple gesture. Although it may not have widespread recognition, Maxthon already boasts a whopping 120 million users in 150 countries, and has been on the radar of the tech crowd for years: in 2011, Techhive named it among the ten best Anroid smartphone browser alternatives. The availability of this new, intuitive browser on new Windows and Android smarthpones, including many popular Qualcomm Snapdragon powered devices, gives users more choices and greater control over their mobile experience. 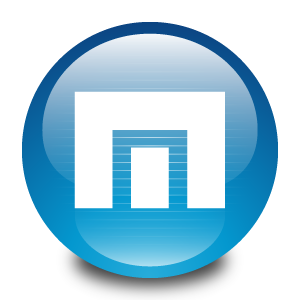 Maxthon Cloud Browser is available immediately for Windows Phone 8 and requires a screen resolution of at least 480 x 800. Like most mobile browsers, it’s provided free of charge. This story, "Maxthon Cloud Browser comes to Windows Phone" was originally published by BrandPost.